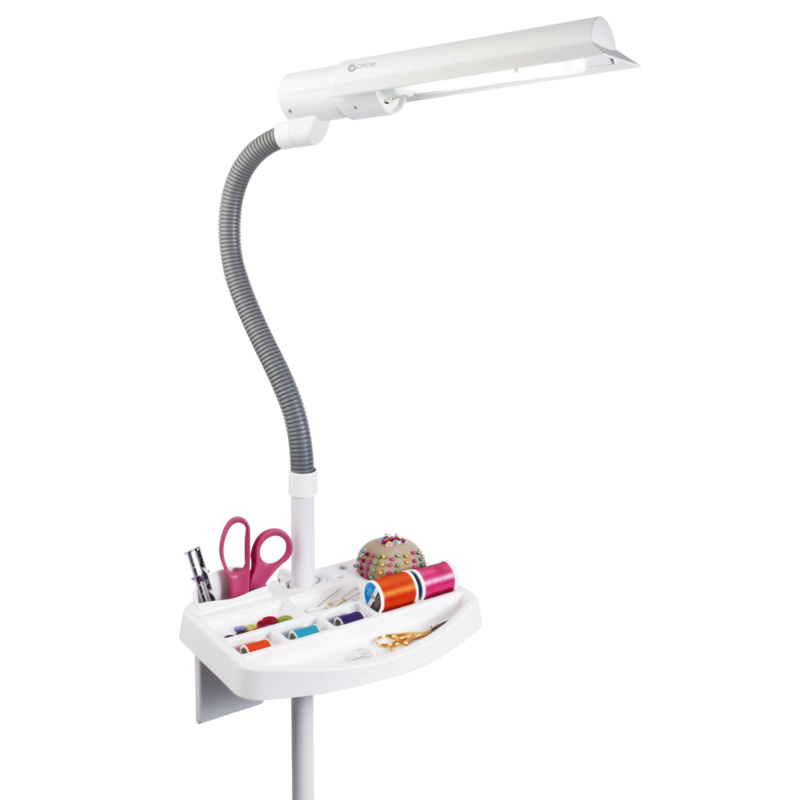 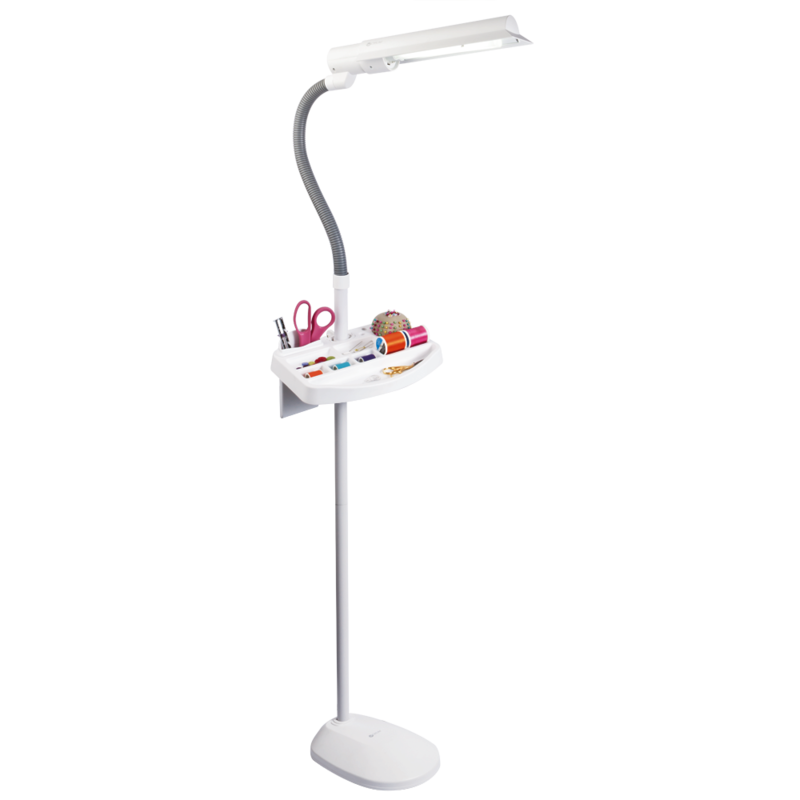 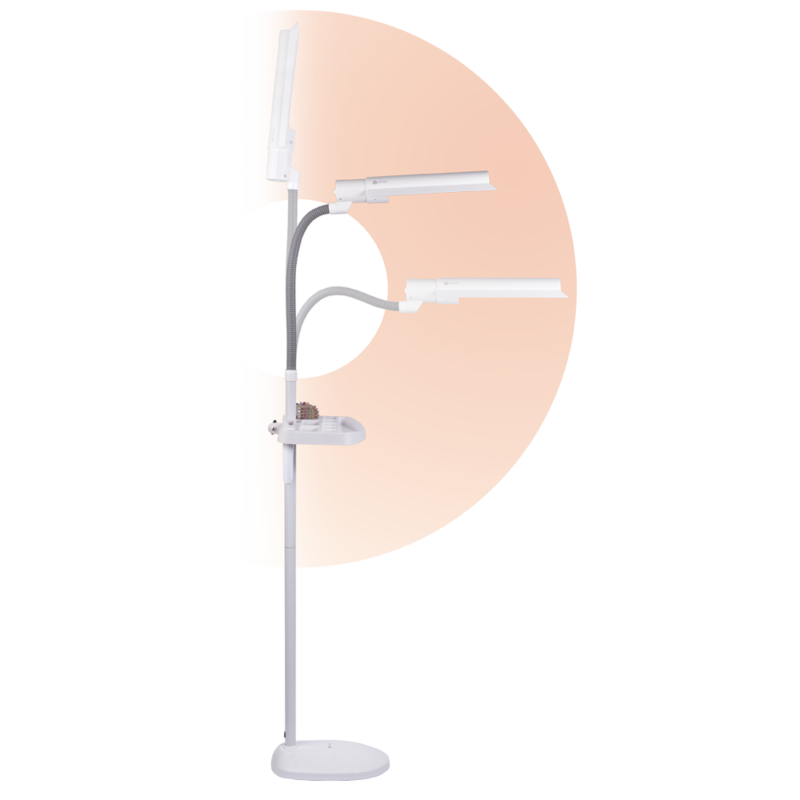 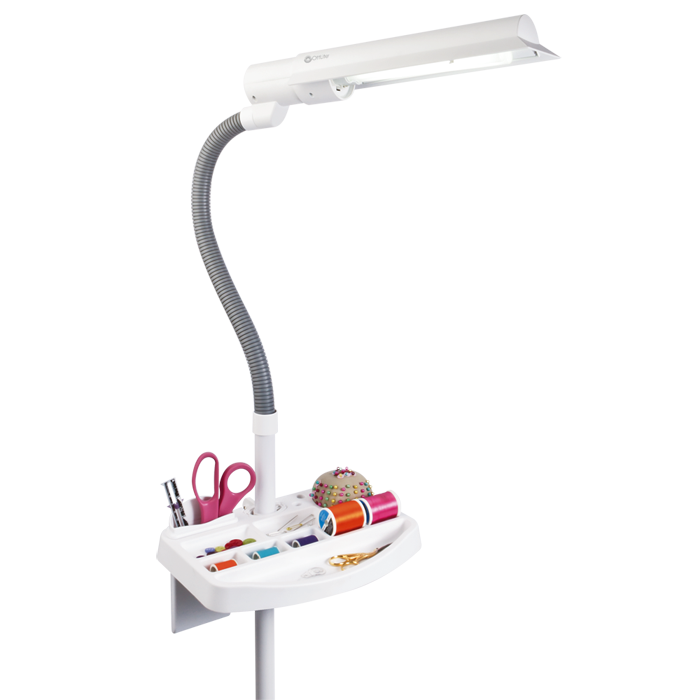 Enjoy the 18w WingShade Floor Lamp complete with the Craft Organizer Tray -- smart storage meets great lighting. 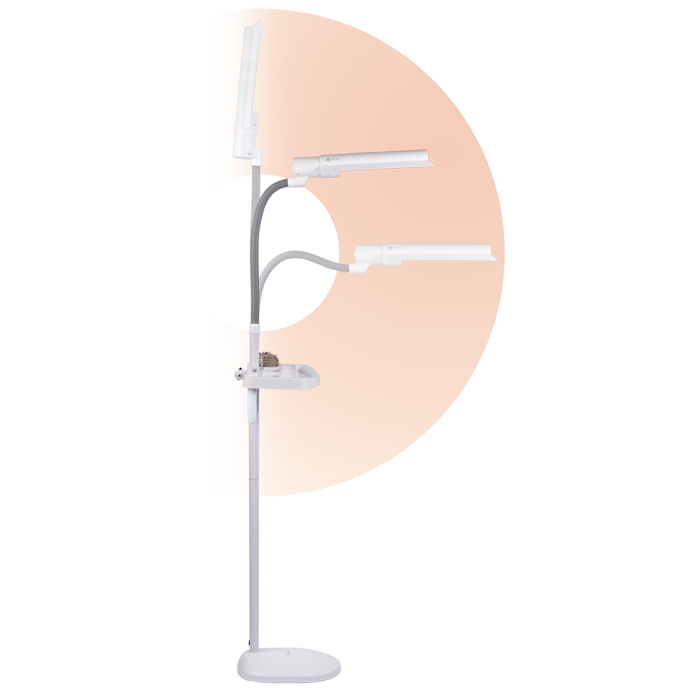 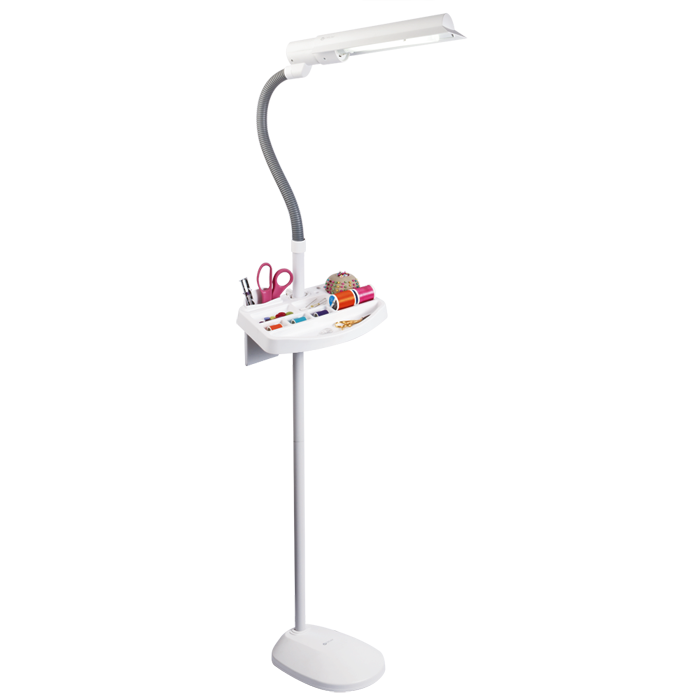 The flexible neck and multi-position shade help you easily direct powerful illumination exactly where you need it. 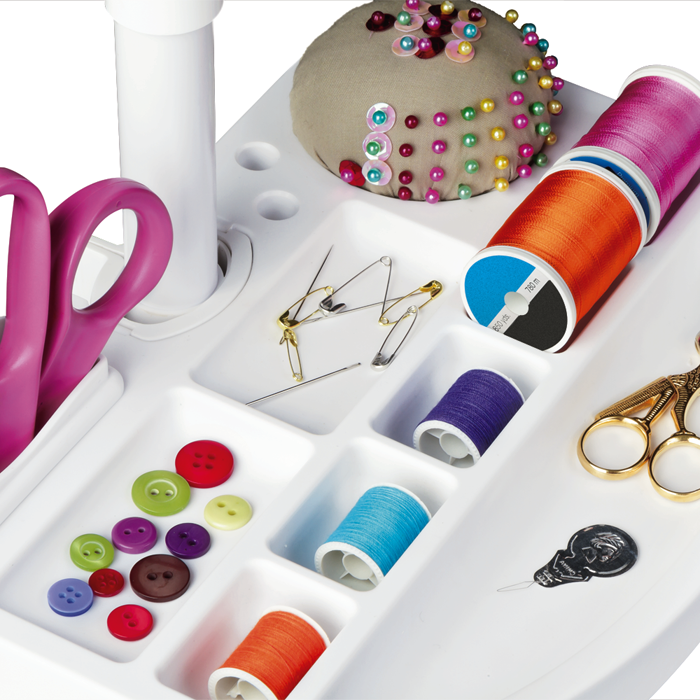 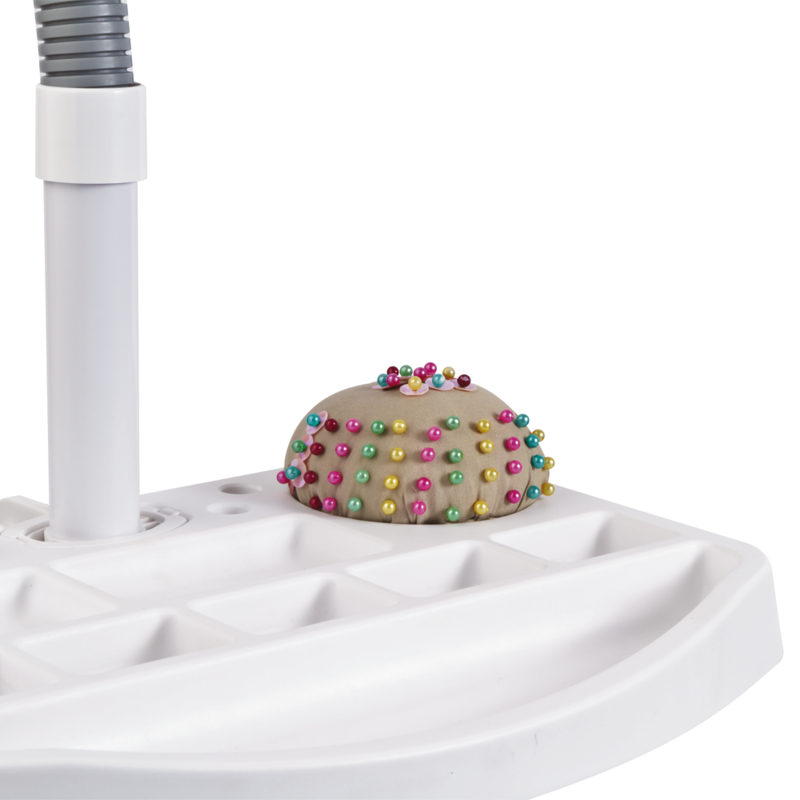 And, the Craft Organizer Tray attaches to the floor lamp and includes a pin cushion, deep pocket for scissors and pencils, and a magnetized compartment to safely hold pins and needles.